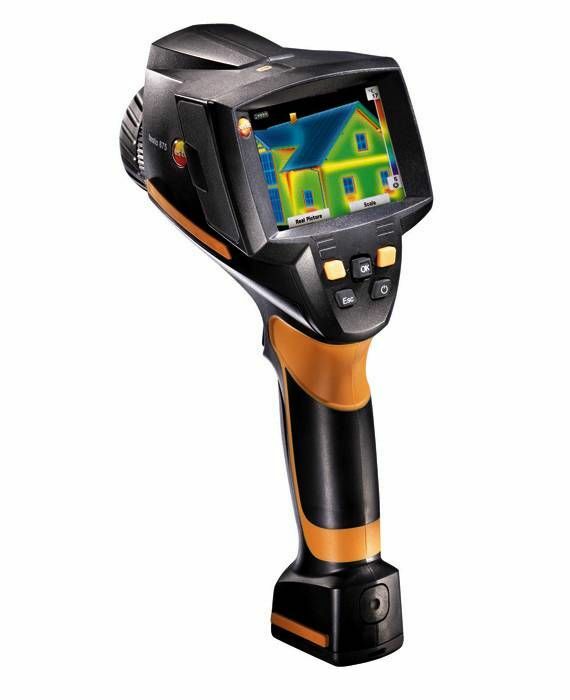 The testo 872 thermal imager is ideally suited for professional industrial and building thermography - at the same time it ensures your work is both quick and easy. It is versatile to use, for example in industrial and mechanical maintenance or for detecting structural defects. 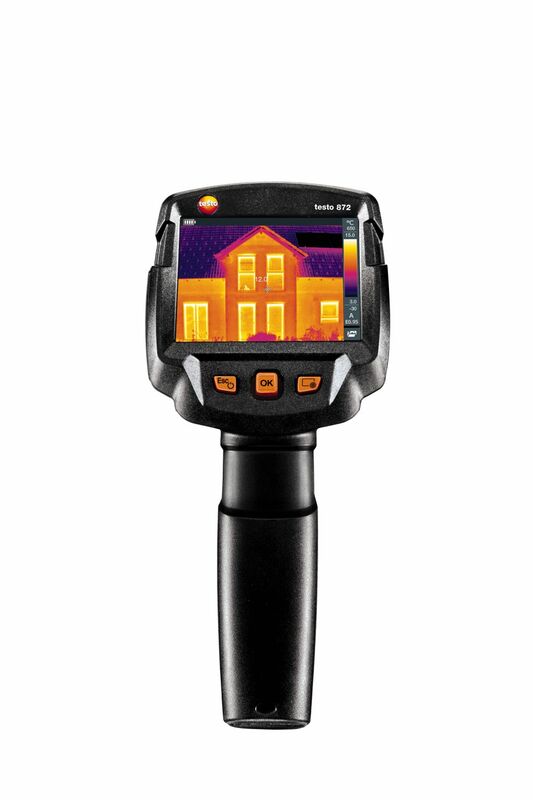 You can generate error-free and objectively comparable infrared images using its handy functions. 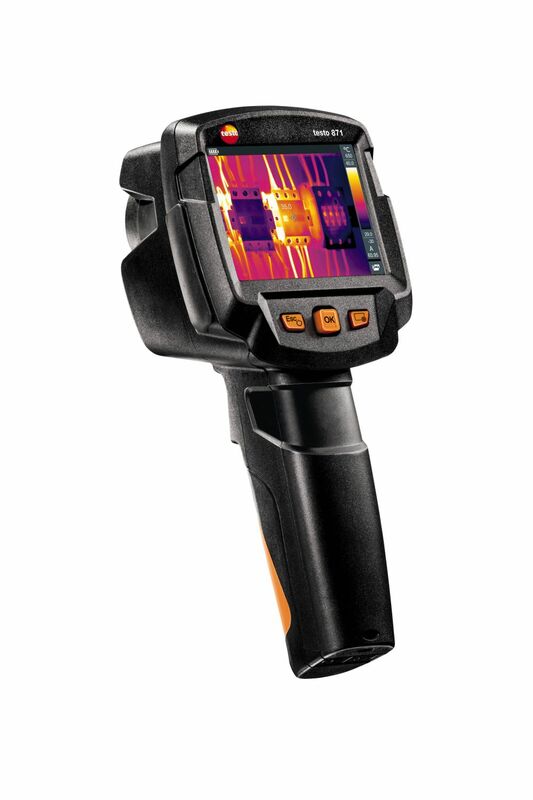 The IFOV warner, testo ?-Assist and testo ScaleAssist mean you can avoid measurement errors and not only effortlessly achieve optimum setting of emissivity (?) 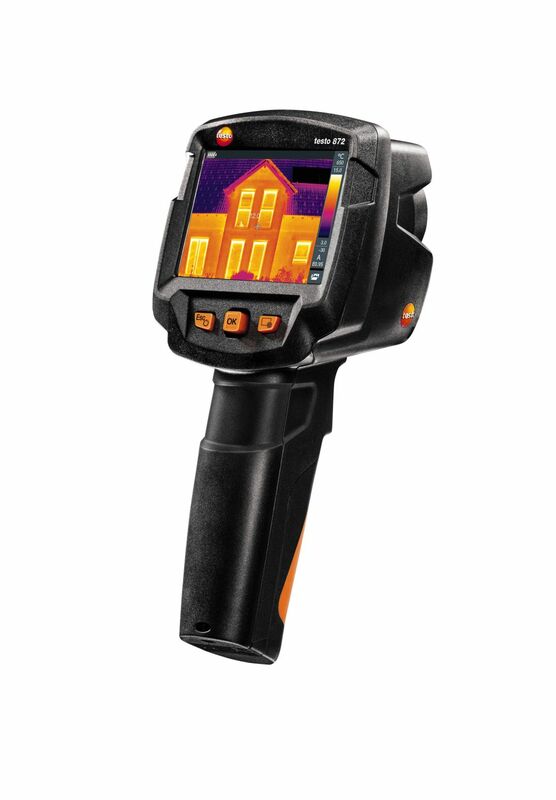 and reflected temperature (RTC) for building thermography, but also of thermal image scale. testo 872 thermal imager with radio module for Bluetooth/WLAN, USB cable, mains unit, lithium-ion rechargeable battery, pro software, 3 x testo ?-Markers, commissioning instructions, short instructions, calibration protocol and case.